Fans of The Joe Rogan Experience podcast were given a treat recently when loud-mouth conspiracy theorist Alex Jones joined the show to not only bury the hatchet with Rogan, but also shed some light on some of the 'de-classified information' he's received recently. 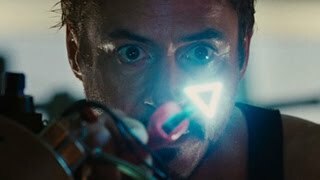 If you're a tinfoil hat wearing, "the truth is out there" type then this episode was created specifically for you. It'll feed into your biggest fears, strongest beliefs and possibly make you question reality as you know it. For those of you who aren't into that sort of thing, at least you'll have a few chuckles and even find out about some factual information that might shock you. 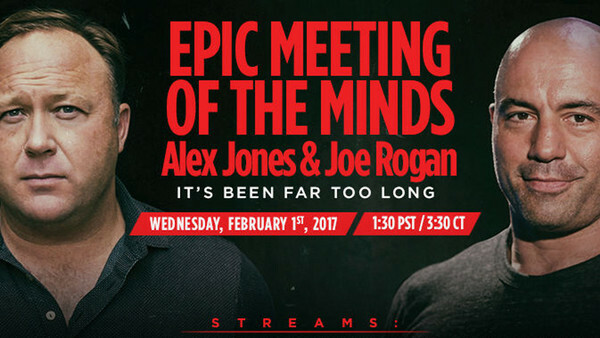 Rogan and Jones go back and forth on a number of mind-boggling subjects, including human-animal hybrids that the government have been trying to create for years, Nazi scientists joining the United States after the war to help create NASA and the role psychedelic drugs has to play in inter-dimensional space deals between humans and aliens. That's right. Inter-dimensional space deals. If you're still not sure listening to a four-hour long podcast about ideas that would fit right in on '80s sci-fi flick, then don't worry because we've taken the 10 most bonkers things Jones brought up during the show and went further down the rabbit hole so you don't have too.